Many of the people I spoke to about Mahabir Pun recognized his charismatic personality but were drawn to him more by his ideals and the methods by which he accomplished his projects. Considering the obstacles of working in a developing country under the veil of a civil war, alongside an unstable government, with uncertain financing and lack of basic resources such as electricity…his meteoric rise to fame was the attraction. But over time many of his early supporters lost their own momentum and could not keep up with Mahabir. He demands no less of everyone around him then he does of himself. But few share his single minded focus…they must return to their own countries, personal interests interceded or his stardom lost it’s shine for them. The eyes of Nepal watch and wait for Mahabir Pun’s next endeavor. His critics note Mahabir’s demanding nature coupled with his lack of appreciation is not the only wedge that undermines his working relationships. He is not a team player and his inability to listen to alternate ideas and opinions eventually drives many people away. He will start a project with a team but make changes without consulting anyone. Often those changes are based on an idea and not researched or tested before implementing. The old “throw mud on the wall to see what sticks” approach is still in his arsenal. But many people find this approach wasteful. For example; several years ago a group of volunteers had planned a solar project for the school in Nangi. They had researched and designed the project months before arrival. I know this team well and they’re skilled at engineering and well versed in working under the extreme Nepali conditions. When they arrived in Nepal and went to pick up their preordered supplies they found Mahabir had changed the order. He had redesigned the project according to what “he thought” it should be. Technically it wasn’t feasible and it undermined the original goal for the project which was to decrease the school’s reliance on the undependable and expensive Nepal electrical power grid. The team was initially bewildered by Mahabir’s behavior, they were hurt by the lack of respect but mostly frustrated by the additional work and cost of straightening out the mess. They had other projects in planning stages but never came back citing their inability to work with Mahabir. There is no doubt mahabir Pun’s methods are successful. But what works for one person will quickly make others insane. When I asked Mahabir about this criticism of him and his work he simply smiled and said, “Someone else will come along”. He was right. Since the mid 1990s Mahabir Pun has been aided by hundreds of people and dozens of agencies. When someone moves on another fills their place. He is never without support, ideas or dozens of worthwhile and successful projects in the works. He neither says thank you nor does he look back when parting ways. Despite any storm, either political or environmental, he puts his head down and under his own power forges on because he knows at the end of his life he has only himself to commend for success and chastise for failure…because along the way he expects no one but himself to shoulder the weight of his dreams for a better Nepal. Thank you for your support over the last two years. I could not have continued without the support of my family, friends and colleagues. Your comments and encouragement have kept me motivated and touched my heart. Your opinions matter and are an important part of the complexity of this work. I am especially indebted to Mahabir Pun for his unselfish willingness to answer tough questions and patiently explain my often ignorant inquiries. 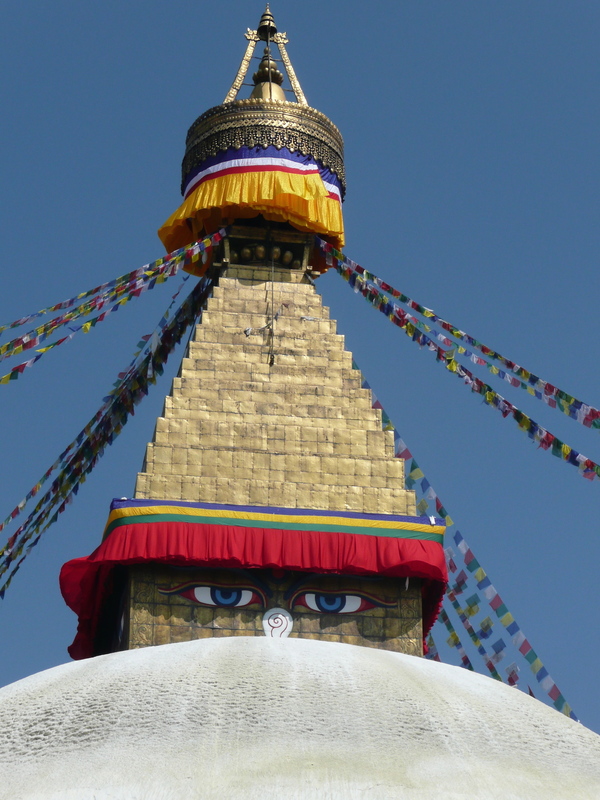 Safe travels and may each of you find a little bit of Mahabir Pun in yourselves. My story is coming to an end, although I could write about Mahabir Pun and his life for decades. He never stops. He is always moving, thinking and throwing his mud on the walls of this world. He waits to see what sticks then moves forward never looking back. His critics are few but when I interviewed people who grew up with him or worked with him or only met him recently I asked them the same two final questions. This young students future is wide open due to Mahabir Pun’s visions. If you could give Mahabir Pun one piece of advice what would it be? The one thing that came up time and time again was this…he is not very good at saying thanks. People expect a few words of appreciation. But here’s the catch…when Europeans first started exploring the area in the 1800s and even into the 1900s there was no word in any of the Nepali dialects for thank you. Mahabir explained this to me during one of our early conversations. Nepali people do not perform an act of kindness such as sharing food and shelter or helping someone in need for reasons of appreciation. They do it because it is expected, it is the right thing to do and no thanks should be needed. Over the years due to western influence a word for thank you developed which looks like this in Devanagari script: धन्यवाद and is pronounced like this: dhan-ya-bad. He told me many Nepalese people smile when westerners say thank you or dhanyabad. We think they are happy, but they are mostly amused at our constant need for appreciation. Join me next week for Mahabir Pun’s critics final words of advice for the man who expects nothing less then 110% commitment from his volunteers. In 2011 the World Bank had this to say about renewable energy in Nepal: “A large section of the Nepalese population is deprived of electricity coverage despite huge hydropower potential, particularly in rural areas. About 63 percent of Nepalese households lack access to electricity and depend on oil-based or renewable energy alternatives. The disparity in access is stark, with almost 90 percent of the urban population connected, but less than 30 percent of the rural population. Nepal has about 83,000 MW of economically exploitable resources, but only 650 MW have been developed so far.” This comes from the World Bank study, Power and People: The Benefits of renewable Energy in Nepal. It’s worth reading the entire article but the crux of the matter can be found in the Executive Summary pages xii – xix. 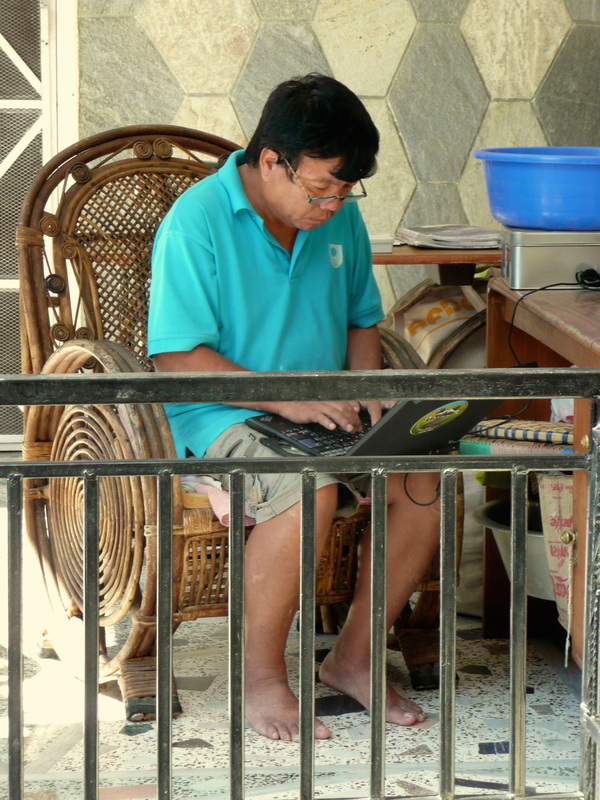 Mahabir Pun at work on his porch in Pokhara, Nepal. The Nepal government is famous for instability, false starts and sudden stops. Mix in quirky general chaos reserved for kindergarten classes and you have the reasons why Nepal, which has abundant natural water resources has failed it’s people miserably. This Nepali Times article sums up the expected outcome from Mahabir’s initial 2012 meeting with the Prime Minister of Nepal, Baburam Bhattarai. Since developing and presenting his National Innovation Center concept Nepal has transitioned though three new governments. 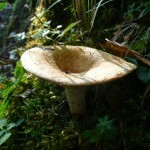 He is again hoping to talk with the newest leaders during the summer. Join me next week as I wrap up Mahabir Pun’s visions for his country and offer additional insights into the man…the man who many Nepalese think should run for Prime Minister, but for whom this idea holds no sway. 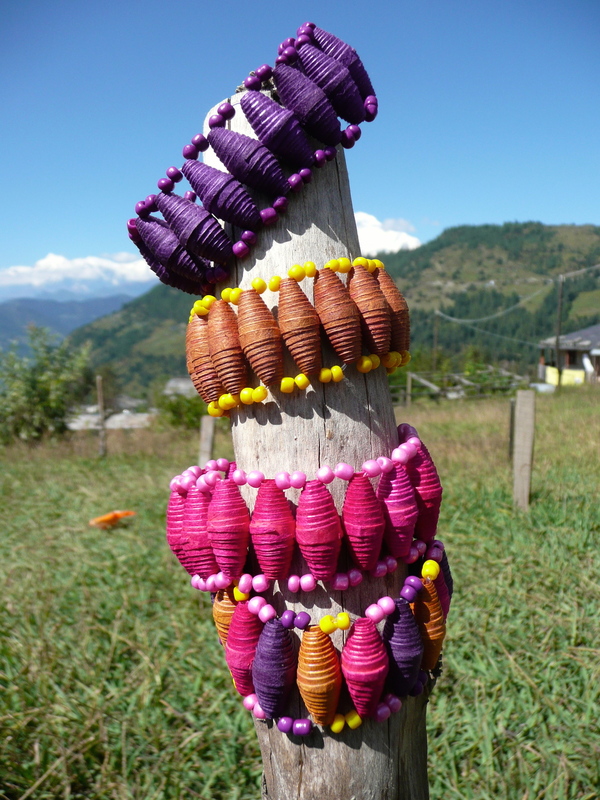 Women in two Myagdi villages make paper beads and fashion into jewelry which they sell to the tourists. 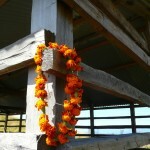 This is one example of a small village enterprise which promotes independence and confidence. I had read the proposal he wrote and gave to the government and shared with his supporters, including myself, a few months before. But I wanted to hear it again after the idea had circulated and he had not only spoken with the Nepal government but had spoken around the world at various venues. Like everything on Mahabir’s list of projects it started with an idea and developed along the way. In a nutshell, Mahabir Pun is trying to scale up what he accomplished in Nangi into a national platform with the National Innovation Center concept. In Nangi he revolutionized the concept of education for students and parents from merely learning academics to understanding their capacity to change their lives because with knowledge came choices. With choices comes the ability to make significant changes in not only their lives but that of others in their community. He also stepped away from the hand out and donation concept of community development and helped villages build profitable businesses which they run and market either individually or as a community. The National Innovation Center will be a physical space where Nepalese can bring their ideas for development. It will be a think tank. It will support talented Nepalese from all social strata and educational backgrounds to bring forward their ideas for progressive development in all areas of need such as education and infrastructure. It will generate jobs as ideas are developed and implemented. Villages along the Community Trek Trail built and maintain the lodges. They provide jobs and income to the community. But Mahabir is not looking for donors or NGO funding. He is seeking a soft loan of $6 million USD to build a 10 MW hydropower plant in Nepal. The much needed electricity will be sold on the grid and the profits used to run the center, pay back the loan and support the entrepeneurs. He originally went to his government but they did not have the resources so he sought their support as he approached other agencies such as the World Bank or wealthy private individuals such as the Warren Buffets of the world. Join me next week and find out how The National Innovation Center is progressing and if the Nepal government has lived up to their promises to help Mahabir Pun realize this far reaching social experiment. Will the job market in Nepal support these young students when they are ready to work? Mahabir Pun has an ambitious plan to support one of his greatest passions: to keep the young talented Nepalese minds in Nepal. He is a proponent of stopping what is called the “brain drain” in developing countries. This is the movement of educated and skilled individuals who travel abroad seeking jobs in developed nations. He has proposed starting an Innovation Center in Nepal which would foster creative thinking and create jobs to stop the brain drain. 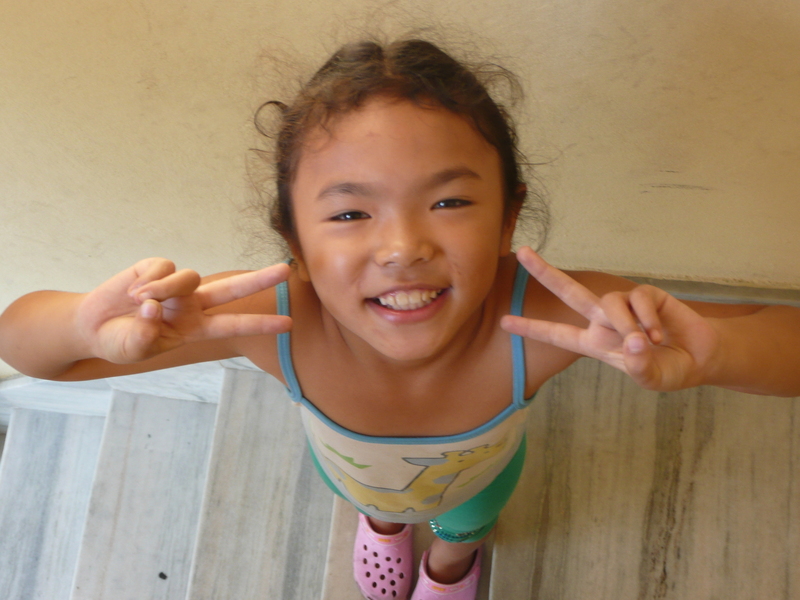 Mahabir Pun’s daughter, Jharna, has a bright future, but will she have to leave the country to realize her dreams? I’ve listened to arguments on both sides of this debate. Others argue if their are no jobs for trained liberal arts, health or technical graduates in Nepal then why force them into a job that doesn’t utilize their skills. Let them go abroad, develop those skills but find a way to bridge the gap back in Nepal. 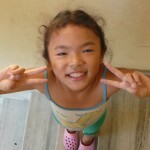 For some this simply means sending money home to help families with basic needs and education. For others like Sandeep Giri, president of Gham Power Nepal, it means living abroad and building business skills which are used to develop a business model and solar industry in Nepal. He business provides a much needed resource and employment. It also strives to service the rural poor with a Rural Microgrid Plan. A young student couple in Nangi hope to further their education by going to college. But what career should they choose and will they find a job in Nepal? Even as far back as the 1800s young Gurkha men were recruited by the British government to serve in the army. They were considered fierce and strong minded warriors. They traveled the world but many eventually went back to Nepal and provided support for their remote communities by building schools, developing income earning industry and offering scholarships. They were also some of the first informal volunteer teachers in rural schools teaching the basics of reading, writing, math and English. These are the men who taught Mahabir Pun in the small schoolroom in Nangi back in the 1950s and 1960s. 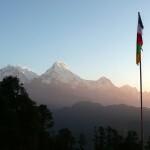 Mahabir Pun was a fortunate and unique rural student who benefited from “brain drain” countrymen who left and returned. What would his life had been like if he hadn’t had retired Gurkha soldiers teaching…probably the same because he had forward thinking parents. His own father was a retired soldier. But what about the students who manage to educate themselves…what is in their future in a country that can’t provide the basic infrastructure to support growth and development? Here is where the Innovation Center offers hope. 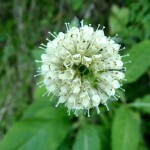 Join me next week for details about Mahabir Pun’s concept. 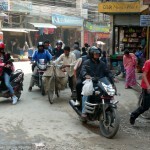 The chaotic streets of Kathmandu contrast sharply with the peaceful atmosphere in the Nepal Connection. Mahabir and a group of local business men conducted a short meeting. Kishor spent his time on his cell phone or just sitting. He seemed to be in deep thought. 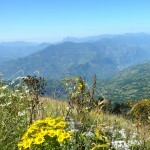 Here is where Mahabir and Kishor differ. Kishor is content with these down times, but Mahabir expects the same capacity for work from Kishor as from himself. It was clear Kishor had no desire to work in the same head down determined manner as Mahabir. He told me, “…not all people born equal.” Kishor has since left the Nepal Connection. He has not answered emails so I don’t know the reason or what he is doing now. But from the following email from Mahabir Pun sent to one of his contributors, it’s apparent Kishor is still involved in some capacity. 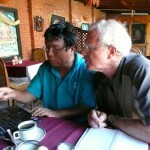 Mahabir Pun meets with a volunteer who is sponsoring a remote wireless network. As for paying the loan and the interest, I have paid back loan of a person because he needed the money. The restaurant is not generating as much income as we had expected because we had to learn everything from the beginning. It is generation mostly enough money to pay the salaries of five staff and house rent plus the bills for the utilities.I have requested contributors to wait for sometime to get the interest and loan back. We are trying very hard to attract as many customers as possible through facebook, personal contact, and others. Kishor and Mahbir’s original goals are materializing after less then two years of operation. The competition for tourists from restaurants in Thamel is fierce but I think it is fair to say they need more time to gain a following and put down a culinary reputation. Join me next week to read about Mahabir Pun’s premier project…the one he hopes will lay the path to a better future for Nepal and it’s people. 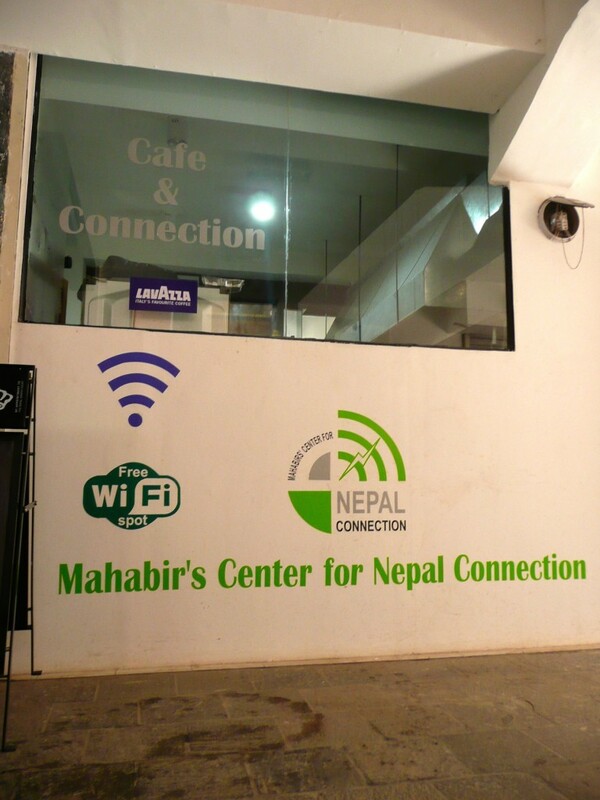 Kishor Rimal responded, “tall question” when I asked him what goals he set for the newly opened Nepal Connection. Aside from building a successful business and offering good food in an atmosphere that supports social thinking, the primary goal was to establish the business as a social enterprise. Mahabir and Kishor did not want handouts from supports, investors or the government. Kishor stated, “I don’t know if this will work, but I want to do this by setting up an example.” The business was not for generating a profit for Mahabir or the investors…the profits are to support programs for the rural poor. It translates into support for rural schools and for rural subsistence farmers to start their own businesses. This model has been successfully replicated around the world. Take a look at Beads for Life. 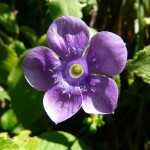 In Nangi the paper making, fish ponds and mushroom growing are good examples. Nepal Connection was to be the umbrella organization for all other projects. Kishor and Mahabir often quarreled on issues of organization, finances and business management. Mahabir Pun is a social entrepreneur who sees the goals and will take any route to get there using only his morals as a compass. Kishor is methodical and in the position of balancing the supporters expectations of the business model with Mahabir’s daredevil style. For example, the primary investors wanted a central bank account for financial transparency. Mahabir refused. All the money goes directly to Mahabir’s personal account or the Himanchal Higher Education School account. The issue is not trust…people trust Mahabir. The issue is simply logical accounting…money in, money out. Investors and advisors want to track and crunch the numbers. Mahabir has always resisted this approach as long as I’ve known him. What is important to him is results…numbers do not matter. The inside of Nepal Connection is designed with restaurant style seating and couches for social enterprise networking. Join me next week for the end of Kishor’s story and the future of Nepal Connection. Celebrating the Memorial Day Holiday. 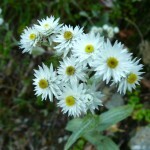 Enjoy the photographs taken on the trek from Nangi to Mohare Danda. Click on a photograph to scroll through. I think understanding how Mahabir Pun developed and set up the Nepal Connection gives further insight into his character and how he manages and interacts with people. In October 2012 I sat down with Kishor Rimal, the Nepal Connection (NC) manager, at the restaurant and over tea we talked for hours about his career and his relationship with Mahabir. 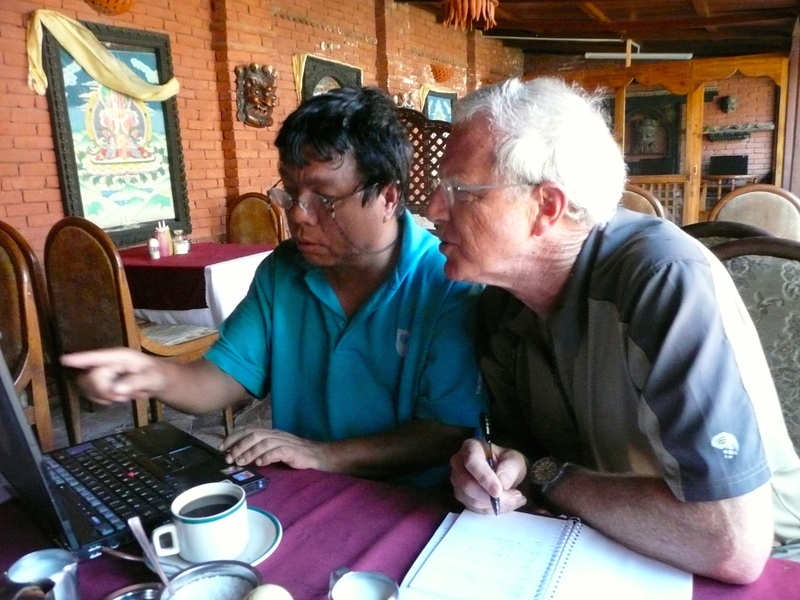 His experience with Mahabir is typical for many of us who work with him so here is his story. Kishor was hired by Mahabir Pun to manage NC even before it opened. 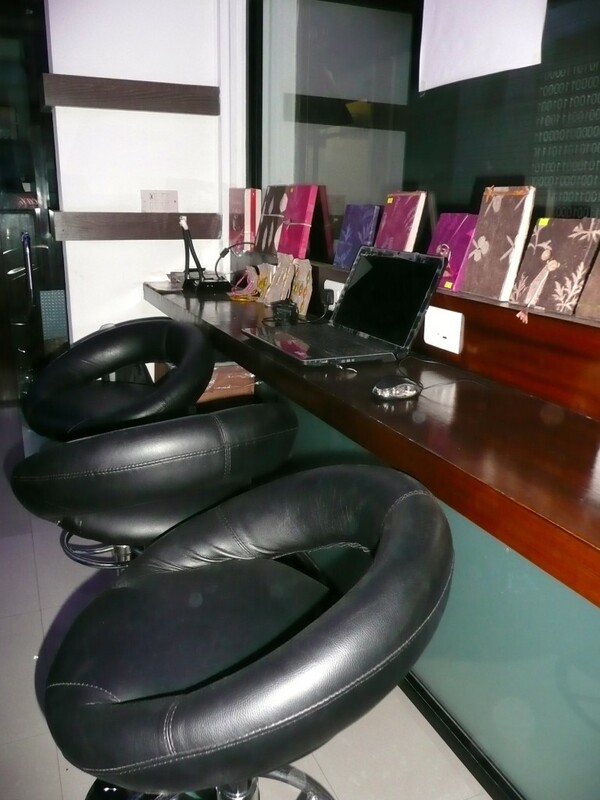 Kishor was involved from the early stages of planning, development and construction. He was fresh out of the restaurant opening the month before I met him so he was eager to talk about the challenges. After consulting with Mahabir, he made the final decisions on location, design, staff and the menu. He admits to being “nervous” regarding his responsibilities due to his lack of experience in the restaurant business. He holds a BA in Media Studies and a Masters in Landscape Management…along with a long resume of multiple jobs. Everything from event planning to publishing house writer to bank communications. He admits he only held some jobs for a few weeks to a few months. After meeting Mahabir he realized he wanted to work for the rural villagers and “help the people”. 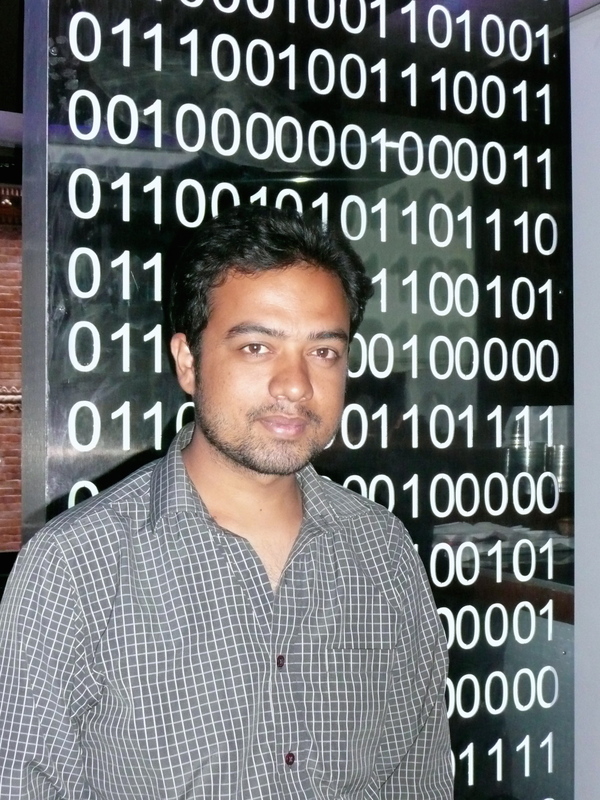 Kishor Rimal, manager of the Nepal Connection. He first met Mahabir Pun in February 2010 and the meeting didn’t go well. He wanted to work for Nepal Wireless but Mahabir was not impressed by his resume. Kishor said Mahabir was brutally blunt in saying he was not the type of person to work with him because he had no IT experience. Kishor kept hounding Mahabir and finally convinced him he could design and implement a much needed media and public relations campaign. Mahabir allowed him to work as a volunteer. Kishor worked for two years without pay for Nepal Wireless. He was able to do this because he lived in Kathmandu with his parents. He managed projects by negotiating with the villagers; set up training for technicians; and was the front man for all politically correct interfaces with villagers, technicians, donors and Mahabir. You can see why Mahabir would choose Kishor, although he lacked experience in the restaurant business, he possessed priceless skills in negotiating and management of resources and people. Join me next week and read about Kishor’s goals for the new business, his relationship with Mahabir and the challenges he faced as the new manager buffering Mahabir’s entrepreneurial style with one financial backer’s business goals. Sometimes you need a big project to act as a catalyst for everything that follows. 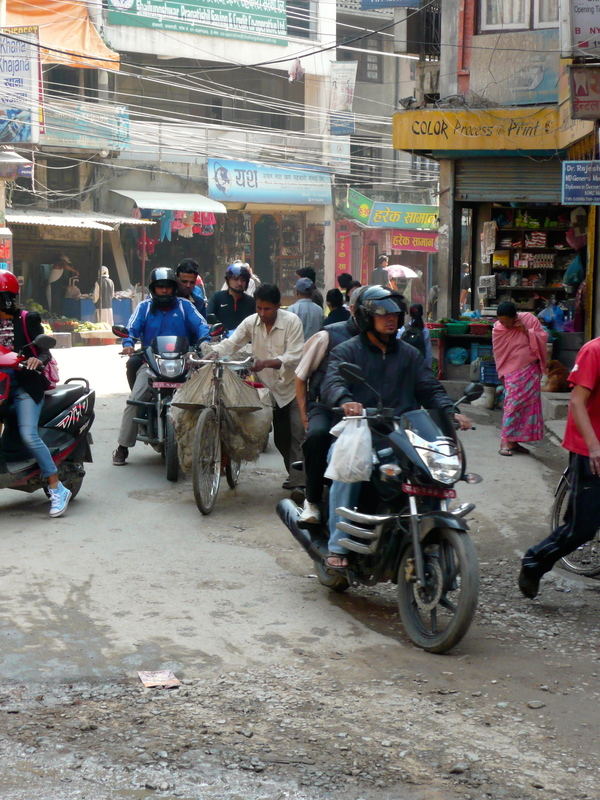 Come with me for a short walk down an unusually quiet, traffic-free street in the tourist district of Kathmandu. Here sits a stately brick building called Sagamartha Bazaar. Shops line the street and people walk without having to dodge motorcycles careening up the sidewalk or shout to be heard above the cacophony of horns…it’s blissfully peaceful. On the first floor, looking down at the pedestrians, is the site of Mahabir Pun’s Nepal Connection…part restaurant, office and store. 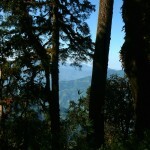 It functions more as a meeting hall for all things that circle Mahabir Pun. Here people, both the invited, the in-the-know, the curious and the accidental tourist come together like a stew of cultural diversity to discuss current events, politics and projects…all under the watchful eye of Mahabir Pun. 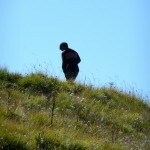 If you want to meet him…this is the one place that he frequently inhabits. Comfy chairs allow visitors to peruse books made from handmade paper by local womens’ collectives. 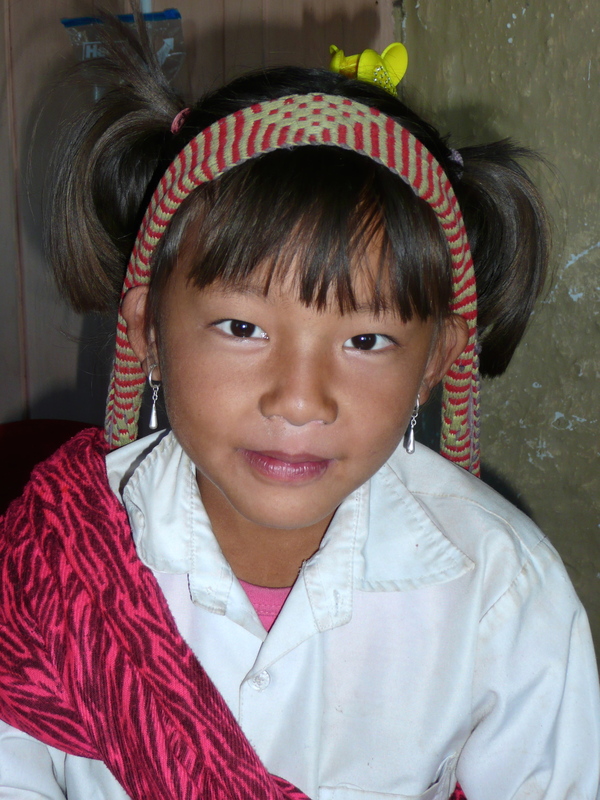 The money earned helps women send their children to school or buy needed staples for the home. 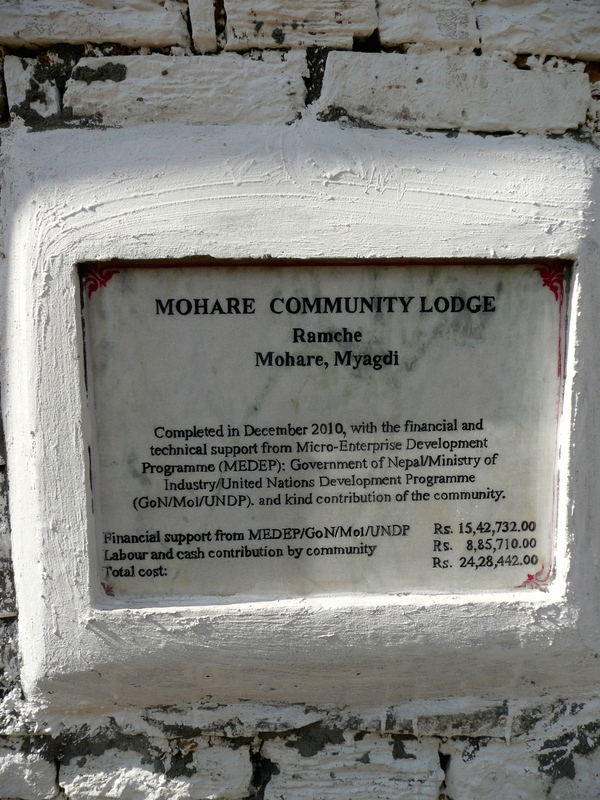 In March 2012 Mahabir placed a message on his Facebook page asking his supporters to help him raise 1 million Nepali rupees ($10,400 USD). Within six months he had funded and opened the restaurant. 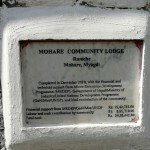 The project was covered in detail by the Nepali Times in the article titled: Mahabir’s Center for Nepal Connection. The interior is surprisingly modern which reflects the occupants attention to solving real problems surrounding education, healthcare and resource allocation. 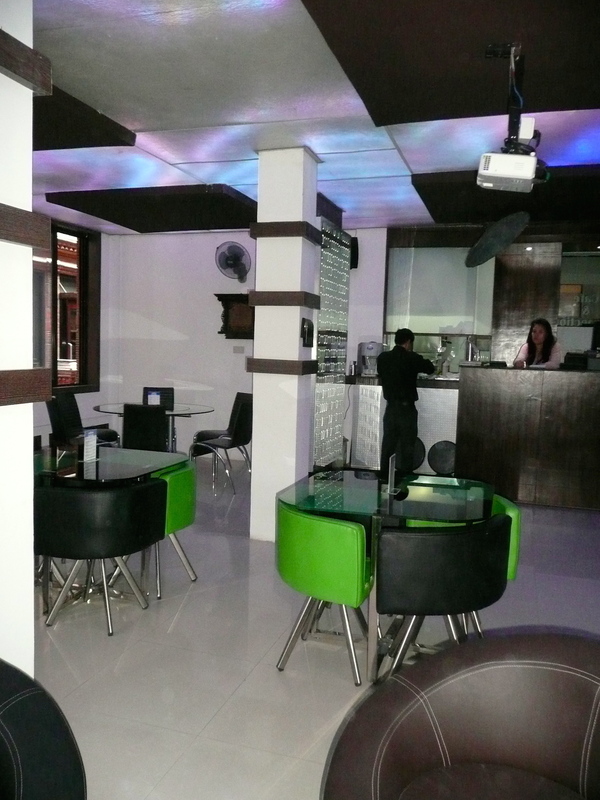 The restaurant has earned a good reputation serving trendy food which still reflects Nepal’s culture. The proceeds from the restaurant are used to support education and health projects for the rural poor. 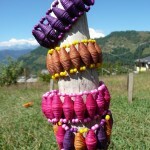 You can also find handmade paper, books and beaded jewerly which earn income for village women. Join me next week for an interview with the Nepal Connection manager, Kishor.